Health has become one of the highly prioritised matters that people are concerned about. This is evident by the increase of yoga classes, gym, health campaigns and programmes organised by the government as well as NGO’s within communities. The Phoenix Tabloid spoke to former Comrades runner, swimming instructor and sports coach, Vivian Pillay on overall fitness and well-being. Pillay grew up in Bayside Clairwood, as a young boy he had a passion for sport, soccer and swimming. Due to racial segregation there was no access to sporting facilities and coaching. Pillay practiced his swimming skills in the Durban Bay and soccer in the dusty streets of Clairwood. He joined Pirates FC at the age of 15 and continued to play competitive soccer for 30 years for eight clubs. At the age of 38, he joined the Amanzimtoti Athletic Club and became an elite athlete, running 400km a month which included playing soccer. 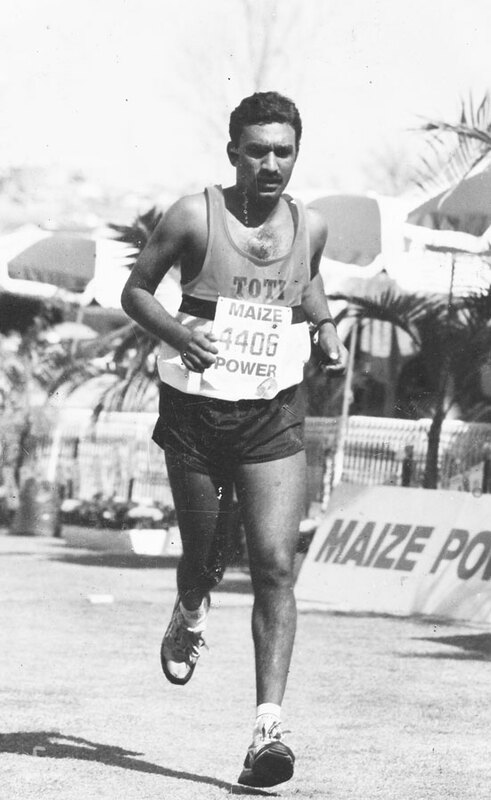 He completed three Comrades Marathons for the club. In 1990, he moved to Phoenix and joined Phoenix and Woodview Athletic Clubs, during this time he completed six Comrades Marathons. In the same year he started working for the eThekwini Municipality where he qualified as a lifesaver and swimming instructor. Builds endurance, agility, flexibility and muscle, bone and joints strength. A combination of various sporting activities like yoga, brisk walking, jogging, swimming or aerobics helps to develop overall fitness. Diet and nutrition: “Eat three regular meals a day, 65 to 70 percent of carbohydrates like whole grain bread, cereals, pasta, potatoes, legumes, fruits and vegetables. Protein intake should be 12 to 15 percent. These include meat, fish, poultry, dairy products, milk, cheese, eggs and soya products and fat intake must be 10 to 20 percent which includes butter, margarine, oil, salad dressings and mayonnaise. Drink eight glasses of water a day,” said Pillay.